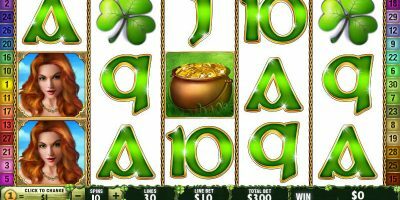 Although the Avalon online casino slot game does not offer a particularly impressive jackpot payout as some other online slot games do, it is nevertheless a very attractive game that offers great graphics as well as a Bonus game. Some users find it a little bit confusing at times, but with a little time it soon becomes easier to understand and to navigate the user interface. 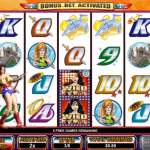 Since it is one of the slot games that is produced by Microgaming, you can rest assured that Avalon consists of world-class software and feature-rich game play. When three Scatter symbols come up, the Bonus Free Spins game is triggered. 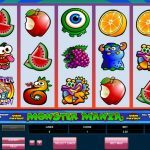 This provides the player with twelve free spins as well as additional free spins that can be obtained even during the Bonus Free Spins game. 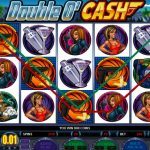 One of the advantages of Avalon is that winnings can not only be doubled but even quadrupled during Regular mode game play as well as at the end of the Bonus Free Spins game. Although there can be a bit of confusion at times, Avalon is really not that difficult to navigate. All that is needed to get things going is a simple click of a button. The confusion can come into matters when it comes to setting the specs for each spin, but even then, it is not all that complicated. For instance, coin size is controlled by clicking the appropriate button to increase or otherwise decrease the value. The button is situated on the bottom of the screen. The same process is completed in order to denote the total amount of paylines the player wishes to enable. Alternatively, all of this can be avoided by simply choosing to place the maximum bet allowed. The software also provides buttons that the player can click on in order to view the payouts that are available. When the appropriate buttons are clicked, new screens will pop up showing the amount the player can expect from every possible winning combo available in the game. This is a useful feature allowing users to track possible winning prospects. 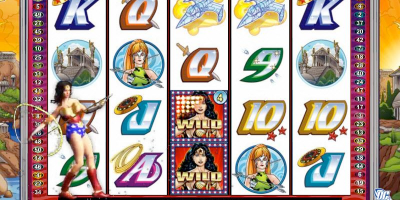 As with almost all other video casino slot games, the Wild symbol is used to complete winning combos. However, there are situations when only the Scatter symbol can achieve this. The Wild symbol is the Avalon symbol and this is also the one that provides the best payout, provided that it appears across the whole payline. The maximum jackpot, which is $3,000, is only available when there are five Avalon symbols on a reel. 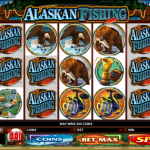 The Bonus Free Spins game is triggered when three or more of the Lady of the Lake Scatter symbol appears. In the best case scenario, if the Scatter symbol appears, the player can expect 200 times the amount that was wagered. 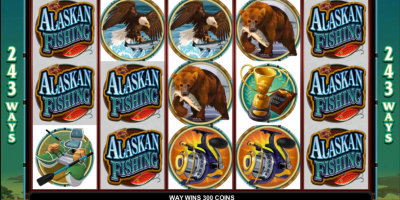 During the Free Spins Bonus game there is a Wild symbol as well. 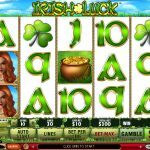 The Bonus Gamble game is available whenever there is a win during Regular mode game play, as well as at the end of the Bonus Free Spins game. To play the Bonus Gamble game, the player has to click on the “Gamble” button, as it is not automatically triggered. A single, face-down card is presented and the player must decide whether it is either red or black. If the player wishes to enhance their possible win they have the option to guess what the suit of the card is as well. Winnings can be doubled if the player guesses the correct color, but they can be quadrupled by guessing the correct suit. As with most Microgaming video slots games, players have the option to customize sounds or to turn them off entirely. Autoplay can be activated as well, but this feature is not available in Regular mode. There is also the option to speed up the game by making the reels spin faster. Naturally this means that the results of the spin will be displayed more quickly, satisfying players that want to keep the action and excitement moving without delay.